Remember Jägermeister? I mean really remember? I always thought of Jäger as being the flavor of regret…and really bad decisions…and horrific mornings after. But lately, I’ve started to come around. Having sipped a little of the stuff recently, as a fully grown adult, I can recognize that Jäger actually tastes of cinnamon, star anise, ginger and cardamom. 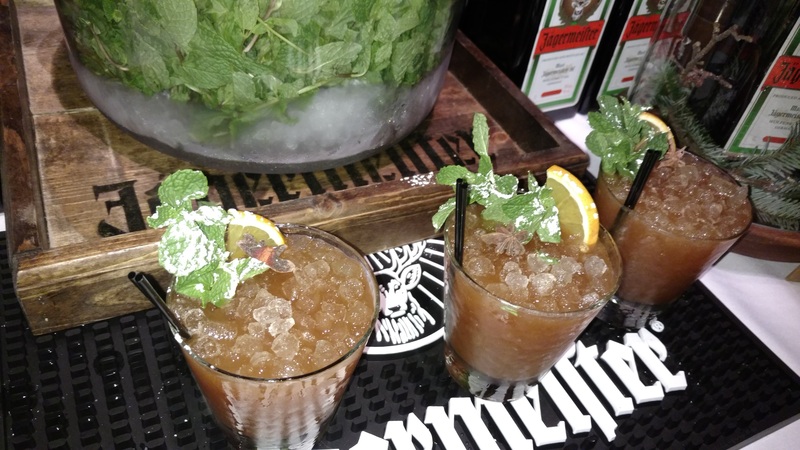 I also learned that, along with those notes, Jägermeister gets its distinctive flavor from the combination of 56 herbs, roots, fruits an other botanicals that make up the secret recipe. 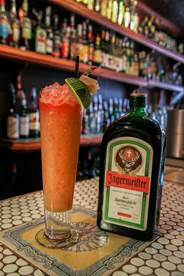 But what really got me to rethink my bad opinion of Jäger were a couple of truly delicious cocktails, both of which you can mix up at home as you get together with old friends for the holidays. Go ahead, relive your college years through a haze of nostalgia, rather than a veil of shame and remorse. And you won’t miss the hangover. Add ingredients into mixing tin, add ice and shake. Strain into frozen empty glass, top with pebble ice, garnish with a large mint sprig and orange half wheel. 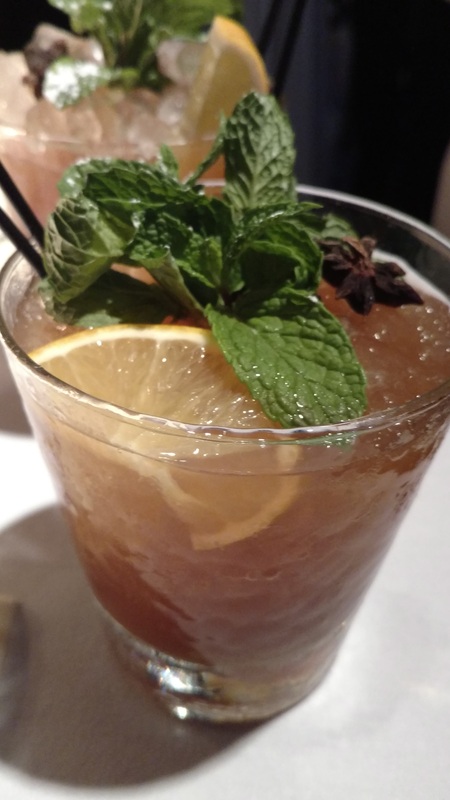 *Orgeat syrup is an almond and flowerwater syrup that is an essential ingredient in tropical drinks—think Mai Tais and just about every other tiki drink. You can find ready-made orgeat but don’t be so quick to just pull a bottle off the shelf of your local liquor store. Carefully peruse the label. A lot of the cheaper, more available brands load up on high fructose corn syrup and contain precious little actual almond. Small Hands Foods and B.G. Reynolds’ makes great ones that are worth seeking out and, you can even score a bottle on Amazon. Or you can whip up some at home using Willy Shine’s recipe: Combine 2 parts demerara sugar to every 1 part almond milk. Heat sugar and almond milk and bring to a low simmer until all the sugar is dissolved, Add 4 parts of aged rum, ½ teaspoon of rosewater and 1 ½ teaspoons of almond extract (or to taste). Although, “lie juice” sounds pretty sinister and awesome! You’re right. Thans for pointing out the error. Perhaps I should have had one less Mai Tai before I posted. It’s been fixed. I felt the same way about Jager. Yuck, having done shots. Now that i know more about it’s makeup, I will try it again, maybe a shot but definitely in a mixed drink. I’d start with a cocktail, rather than jump straight into shots. Jager has a very strong and distinctive flavor which may not end u being your favorite, but turns out it plays well with lots of other flavors such as in these drinks.